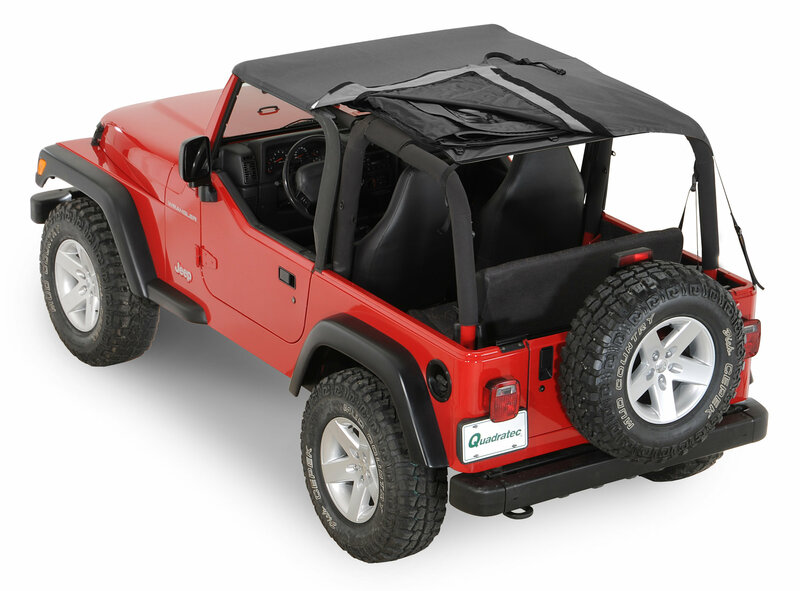 The Rampage Frameless soft top installs over the original equipment factory roll bar for a snug fit without the need for additional bows or support hardware. This unique design allows for larger side windows and improved visibility with removable side and rear windows that quickly convert the soft top into an open Island Top. Windows use heavy duty molded tooth zippers and are easily replaced or removed and stored in a special separation panel between the ceiling and roof top which is concealed and protects the windows from scratches or puncture. The fastback style offers improved aerodynamics and is considerably lighter than factory bow style tops. Rampage Sailcloth tops feature 30oz material for the quietest ride possible. 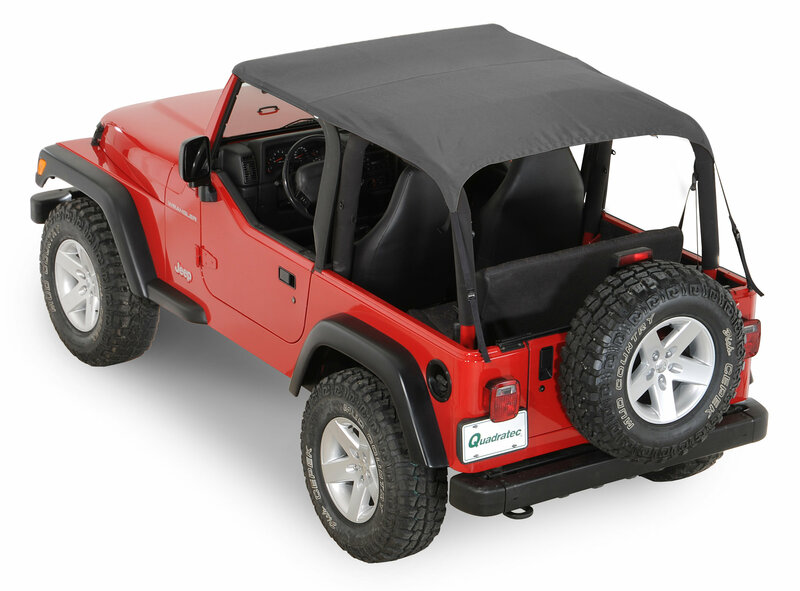 This top requires the use of the Mopar® factory door surrounds and tailgate bar, as well as a header windshield channel (sold separately). 1. 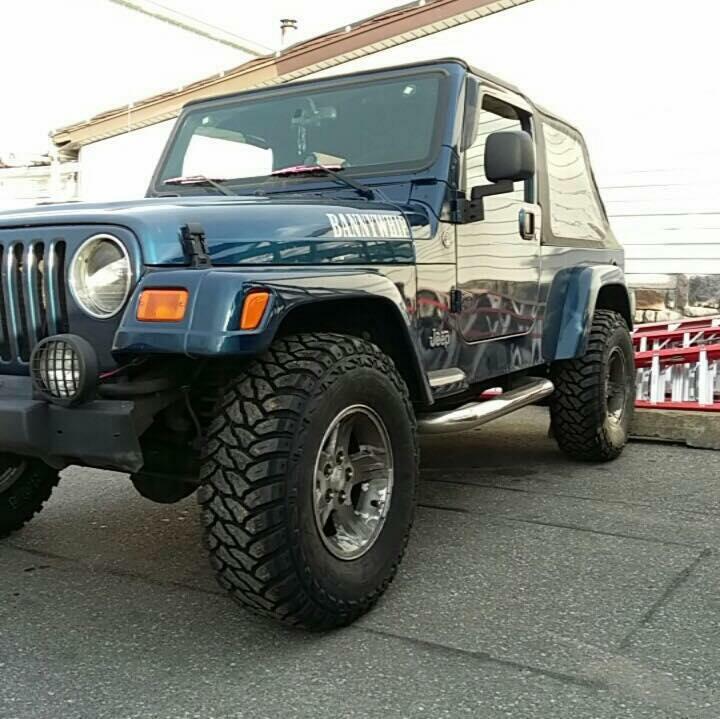 Requires Factory Door Surrounds and Tailgate Bar. when I got this it was the only one available and seemed to be well priced... it was very hard to install. the back piece almost didn't zip. not even quieter than the stock framed top. the rear window got extremely dingy very early on and got harder and harder to see through over a span of about 3 years. Factory to kept visibility the whole time, all the way up until I took it off to but this one on (about 8 years) in 3 years I have never removed the top, I'm too afraid to, it looks like if I did I'd never get it back on because the sippers are barley sipped all the way up and the Velcro isn't even connected 2/3 up the back window. the straps on the back side VERY QUICKLY faded light grey looks BAD! have not been to pleased with the few Rampage products I've purchased. I read all of the reviews and watched several on-line videos before deciding to purchase-my bad! When we tried the install, even though following instructions to "Leave in the sun for a while before install", we were unable to zip the rear windows all of the way down. Eventually, the zipper ripped. Called Rampage, and supplied the requested photos of the damage, and was shipped another rear window. Same problem with the new window. 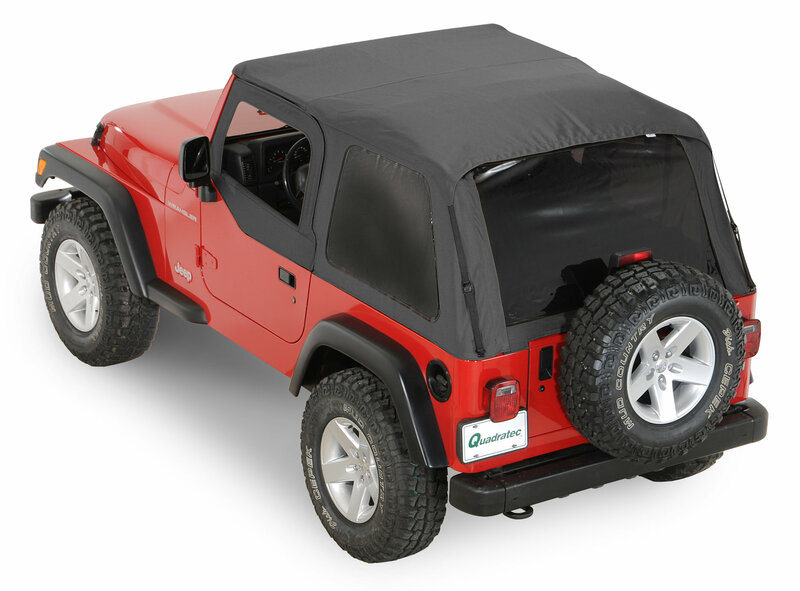 Good idea, actually a well made product, just TOO DAMN TIGHT in the rear.I had to leave the back bottom unattached and let the rain pour in all winter. It has been a year now, and the back window shrunk so much that I cannot attach the Velcro strap across the top rear roll bar either. This top is also so noisy that it is difficult to converse on the freeway. I have removed the top and now noticed additional zipper damage on the top rear right window section zipper. Now I need 2 new parts for this to be complete. But; why bother? I'm saving for another company's top. I'll pay more, but will undoubtedly get a better product. 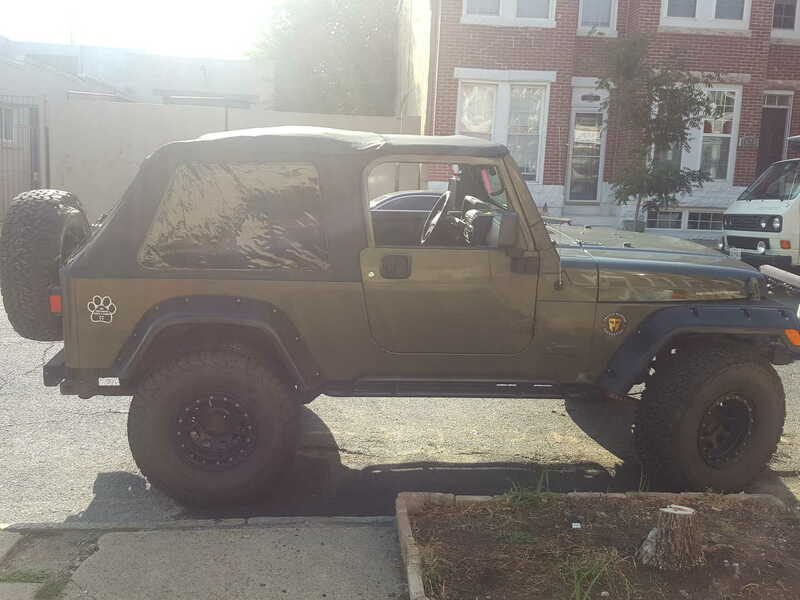 Another Jeeper approached me on the street and related his similar experience with the Rampage top-he trashed his too. I would NOT recommend this product. I personally LOVE the Rampage frameless top. I bought mine in April 2014 it did seep through during a bad storm, but Rampage Products came through and replaced my top. Complete top. Not just the skin, windows and all. I will admit that I have a few teeth missing on the right bottom rear window, but I never zip it all the way down anyway.